This component provides the most commonly used 3D objects. IndexedFaceSet defines a 3D object as a set of polygons, and is the most often method to render 3D data. ElevationGrid allows to easily render a heightfield (like a terrain). Extrusion allows to render a 3D object by extruding a 2D shape along a 3D spine. Primitives Sphere, Box, Cone, Cylinder provide the well-known simple 3D objects. See also X3D specification of the Geometry3D component. This is the most versatile node to render a mesh. The geometry is defined as a set of polygons. Many fields allow to provide positions, indexes, and various per-vertex information (colors, normal vectors, shader attributes etc.). These geometry nodes allow to easily render simple primitives. Note that by default they are only visible from the outside. You can use the solid field to make them visible from the inside too. This geometry node represents a regular grid with a different height at each point. It can be used to render height maps, terrains. Check out the engine "terrain" demo, "Wyrd Forest" demo, and the engine unit CastleTerrain for an example usage. This geometry node looks like a 2D cross-section extruded along a "spine" constructed from a series of 3D points. Think of a snake, or a human arm or leg, that bends. Think of the Blender's Extrude operation applied repeatedly. Below is a complete example how to construct in Pascal a scene with IndexedFaceSet and helper nodes (Coordinate, TextureCoordinate, Shape). Below is a complete example how to construct in Pascal a scene with IndexedFaceSet and helper nodes (Coordinate, TextureCoordinate, Shape, Transform). 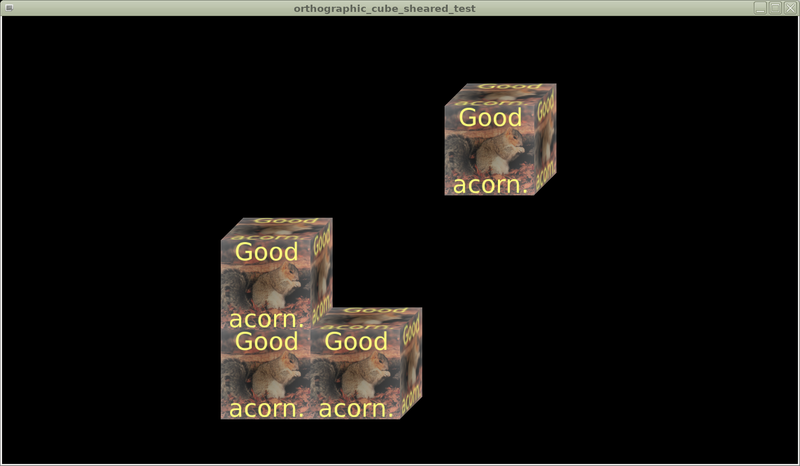 The scene also uses orthographic projection, thanks to OrthoViewpoint node. (See also other examples: build_3d_object_by_code.lpr, build_3d_tunnel.lpr). (Transform first and only child will be Shape). to control the initial camera position/direction/up. and configure them later by WalkCamera.SetView. // do not allow user to move camera by arrow keys etc.